Learn to code. Mod Minecraft. The Tynker app is a good fit for kids who like puzzles and creating games, such as is done in Minecraft or Disney Infinity. If you are unclear whether you child will take to this block-method of learning to code, try the free "Candy Quest" first. If they like it, then you can purchase the additional adventures via in-app purchase, or go online for more free puzzle sets. Solve fun puzzles and learn to code. Simply drag & drop visual code blocks and program your characters to beat the level. The first adventure includes 20 puzzles that are free to play. Additional adventures and puzzle levels are available as in-app purchases. After a nice day at the park, Pixel the puppy has been left behind. Can you help Pixel get home? 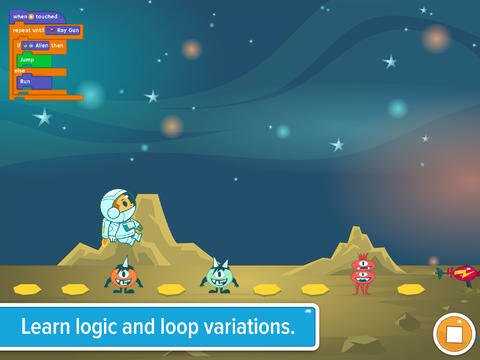 Recognize patterns and use the correct logic and loop variations to solve each level. 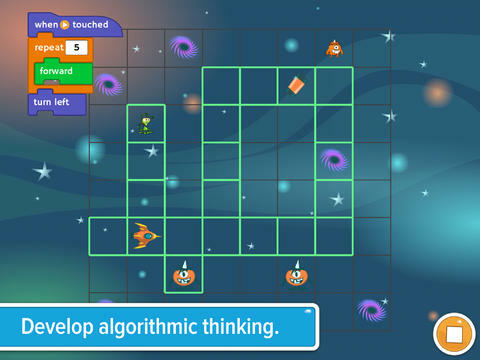 Learn more advanced programming concepts like conditional logic and apply spatial orientation skills to lead astronaut Biff to his moon base, avoiding asteroids and black holes. Develops spatial visualization and algorithmic thinking. Program Snap the turtle to follow patterns and draw complex geometric shapes using simple commands. 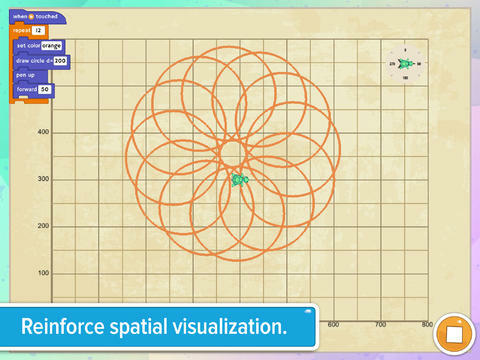 Reinforces basic geometry concepts while using programming to draw angles and lines. Get hooked on programming by solving puzzles that progressively build computational thinking and programming skills. Tynker (www.tynker.com) helps children develop computational thinking and programming skills in a fun, visual, intuitive and imaginative way. Tynker is used in over 8,000 schools to teach computer programming. 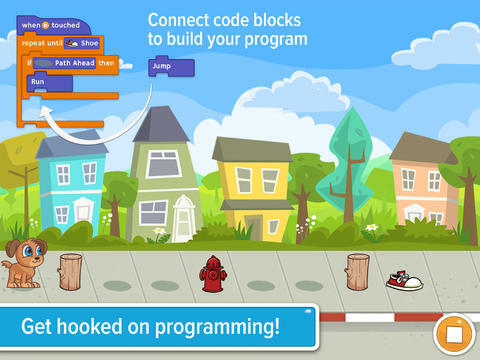 Over 5 million kids have started coding with Tynker - building skills for future success. Tynker is inspired by visual programming languages, such as Scratch from MIT, Alice from CMU, and other programming languages, like Logo, SmallTalk, and Squeak.